I acquired some actual Miata Traqmate data, with the aim of improving the accuracy of the Miata simulation model. 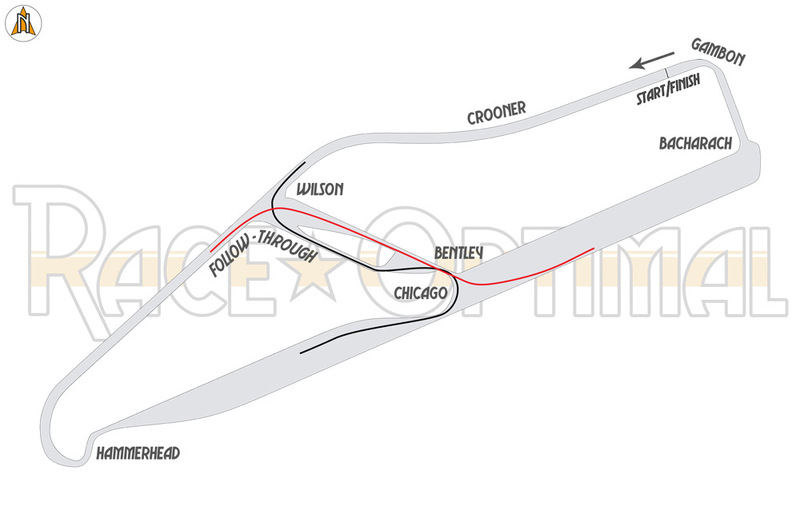 The track analyzed is MSR Houston. After doing some data processing, the real g-forces can be seen below in blue. When running the simulation on the line extracted from the Traqmate data, the g-forces are those shown in green. Posted by RickyV on September 21, 2014 . The McLaren P1 is a fascinating car – producing huge power, massive downforce for a road car, and utilizing advanced tech like active aero and brake steer, it remains driver friendly and is more thrilling than terrifying with the electronic aids switched off. A while ago I wrote a post describing the simulation process for this amazing hypercar, and published videos of the simulated laps around Yas Marina Circuit, where Chris Harris did his YouTube review of the P1. During the follow-up, it was suggested over at the McLaren Life forums to simulate the P1 at the Top Gear test track and put out a lap time prediction. I said..hell yeah! Posted by RickyV on September 11, 2014 .